A trip to the beauty salon is both a luxury and a necessity. Whether you’re in for a colour and cut, skin care treatments, manicure and pedicure services, cosmetic enhancement procedures or anything else, you expect and demand the highest level of professionalism, cleanliness, customer service, and pampering. Even in rural areas, it is not uncommon to find several different salons to choose from. Without knowing more about what to look for, you may not be sure how to choose the best salon for your needs. Here are some tips on how to choose a beauty salon based on the factors that set the best salons apart from the rest. The first and most important factor in choosing a beauty salon is to verify that the salon and each member of its professional staff maintain up-to-date licenses and certifications in their respective areas of expertise. You want to know that the professional who is giving you a facial, highlighting your hair, grooming your nails and pampering your skin is properly trained and credentialed. Salon professionals should display this information at their stations where it is plainly visible to you. Information about salon certifications, licenses and permits should be displayed both on the salon website and inside the salon. The salon you select should offer you a pristine environment. Private rooms for massage, cosmetic procedures, laser hair removal, waxing and more should be cleaned and sanitized after every use. You should make sure that all implements used for hair treatments and nail and skin care are sanitized and sterilized or packaged in disposal wrappers for single use only. The staff should offer plenty of insight into whether the salon is deserving of your trust and patronage. For instance, if you walk into a beauty salon to inquire about a service or procedure, you should expect the staff to sit down with you for a free consultation, answer all of your questions, provide you with all disclosures or forms that may be required before you begin and treat you with respect and courtesy from start to finish. A beauty salon is a purely service-based business, so the customer service should be up to your expectations from the first moment of contact, whether in person, by phone or by email. For salons that offer advanced cosmetic care such as chemical peels, laser hair removal, and body sculpting, you should be able to trust that the information you receive about the service is accurate and complete. You should also be notified upfront about any limitations, side effects or cautions about the care you are considering. Some salons will provide feedback from previous customers so you can get a variety of views and opinions on the process. Finally, when you find a salon that offers an all-natural product line for all beauty care procedures and is environmentally conscious in how they conduct their business and services, this is an indication you have found a high-quality, conscientious salon. Often all-natural product lines are harder to come by, and some salons even create their own line to ensure their customers get the best possible beauty care that is free from toxins and harsh chemicals. 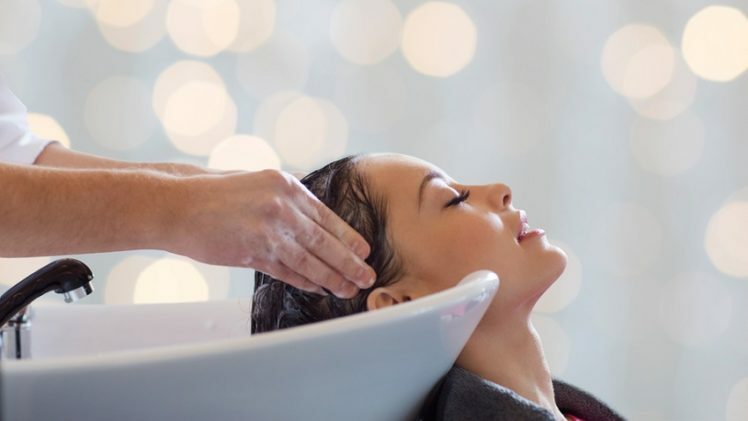 In addition, salons that recycle implement water- and energy-saving measures and use biodegradable service products clearly care about more than just profits. When you know what to look for in a beauty salon, you can feel confident that you will be able to choose a salon that reflects your needs and values. Using these tips, you will be able to select a beauty salon that will safeguard your health, offer you the highest level of customer service and professionalism, continually update their skills with the latest techniques in the beauty industry and do their part to preserve the planet for future generations.